In a previous blog, we expressed some of the reasons you may want to hire a professional DJ for a wedding. If you have already begun the search for the perfect wedding DJ, you are likely wondering what questions you should be asking to ensure he or she is the right fit for your reception. Here are the most important questions you should be asking before hiring a wedding DJ in Tulsa, OK.
Before you begin asking questions, it is important to ensure the DJ is available for your date to avoid any potential heartbreak. It can be hard to find the perfect fit and then realize you never told him or her the date of the wedding. For this reason, getting this information up front is necessary. DJing a wedding is a much different beast than spinning for the local night club. 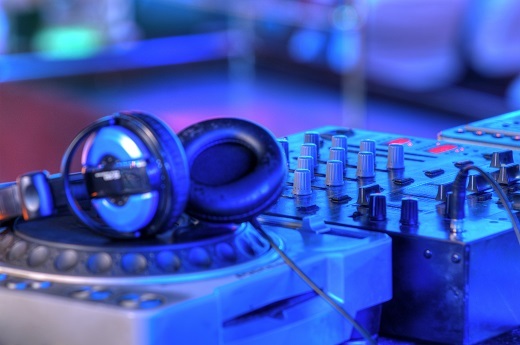 It is important to ensure that your potential wedding DJ understands the atmosphere you expect during your reception. Don’t be afraid to get a little crazy with the music, it’s your wedding after all. Do You Include Other Services? Before hiring a wedding DJ, it is important to ensure he or she has all the equipment you expect. This can include dedicated speakers large enough to fill your reception area and stage lighting to help set the mood. If the potential DJ doesn’t have these on hand, you may want to look elsewhere to avoid any issues that may arise. How Extensive Is Your Library? Good wedding DJ’s will usually have an extensive library of music that covers many different genres and decades. This can be important if you have a wide variety of genres that need to be covered. Ensure your wedding is the best it can be with a knowledgeable and prepared DJ. This is the question that can get a bit tricky because the potential wedding DJ may have tiered pricing or add-on pricing for specific services. It is important to let him or her know exactly what you are looking for and your requirements for an accurate price. If that price is agreed upon and the other answers are satisfactory; congratulations, you found your wedding DJ!